Top-quality Upholstery Steam & Dry Cleaning Tulse Hill SE21 | RDA Cleaning & Maintenance Ltd.
Our company provides expert upholstery cleaning services in Tulse Hill SE21 area. With years of experience behind our back RDA Cleaning & Maintenance Ltd. has managed to provide quality home and office cleaning services at affordable rates and great final results. All of our upholstery cleaners are experienced, fully insured and ready to tackle all nasty spills, spots and discolorations. Give us a call at 020 3404 1646 or use our booking form and our call center reps will quickly respond and offer you a great deal. We can book you a same day appointment. No extra fees. 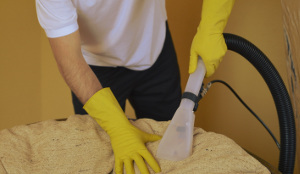 Hire Our Upholstery Cleaners In Tulse Hill SE21 And Get Perfect Home Hygiene! Our upholstery cleaners in Tulse Hill SE21 know that the ideal approach requires deep disinfection and proper sanitizing method application. Our first-class upholstery cleaning company applies steam upholstery cleaning in case of high level of dirt, old pieces of furniture and also synthetic materials. We also remove the dust from the inside. By adding hovering, deodorizing and stain treatment in the procedure, RDA Cleaning & Maintenance Ltd. offers you full upholstery treatment at a bargain price. Don't waste more time and make an order for our top-notched upholstery cleaning services in Tulse Hill SE21! Our services come with bargain price and numerous bonuses like free customer support services and helpful consultations. Get a free quote today! Reach us through this phone number 020 3404 1646!